Driven by the curiosity to understand how a construction design will be robust, I studied mechanical engineering. My focus was mainly on solid mechanics and in a one-year postgraduate program on fluid mechanics. For my PhD, I looked for an opportunity to combine my knowledge of mechanics with my interest in music and acoustics. For my thesis, I worked on mechanics of hearing and aside I did research on musical instruments. The intriguing biophysical processes of hearing lead me from engineering to fundamental research. I applied my ability in quantitative modeling to the spindle formation during the cell division process. engineers make sure that nothing unexpected happens. You can also download my curriculum vitae (PDF) and my publication list (PDF). Conducted research at a world-class research institute with about 200 employees in the group of Prof. Frank Jülicher with about 50 employees. 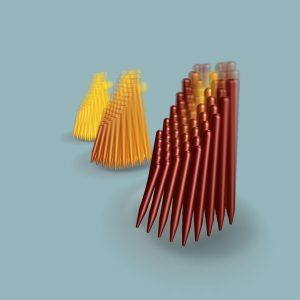 Research on self-organization of the spindle during cell division with a focus on the dynamics and mechanics of microtubules. Managed a project on local polymer concentration in cells with 9 people from 3 experimental groups combining light and electron microscopy data. Developed new methods to retrieve information from noisy raw data. Applied numerical methods from engineering to biophysics, i.e. finite-elements, using mainly Matlab and verified by code review. Collaborated on cell division research with partners in Dresden and Paris by applying liquid crystal theory. Published 5 journal articles, 1 patent and presented my work at several prestigious international meetings. Illustrated 1 cover with results of my research in Nature. Communicated research to public 3 times at open house events. Established and organized a monthly postdoc meeting on soft skills for the entire institute (10 – 30 people) and a weekly chalk talk for the postdocs of the biophysics department (5 – 15 people). Conducted research in the group of Prof. Roger Grundmann at the institute of aerospace engineering and at the institute of scientific computing in the group of Prof. Axel Voigt with about 30 employees each. Research on the mechanics of the inner ear and physics of musical instruments. Planned and wrote the proposal and business plan (2 years and 2 people) for a project on a testing site for bassoons with 5 industry partners, which I successfully managed. Organized workshops with up to 30 people and for 2 days. 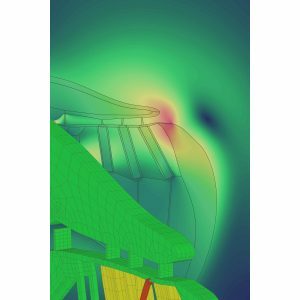 Developed method to compute efficiently fluid-structure interaction problems and applied this to mechanics of hearing and musical instruments using finite-element software Ansys. Collaborated closely with experimentalists and clinicians from ENT-clinics and neuroscience labs to complement biological experiments with 3D numeric models. Started new collaborations with labs at Stanford and New York. Presented my work at international conferences. Illustrated 1 cover with results of my research. Communicated research to public 4 times at open house events. Taught high-temperature flows to groups of about 20 undergraduates. Supervised 1 PhD student and 4 diploma students. Participated as a vice chairman of the expert committee on musical acoustics in the German Acoustical Society. Nature, Vol. 474, No. 7351, 2011. Proc. 10th Int. Workshop on the Mechanics of Hearing, World Scientific Press, 2009.